Every industry seems to be changing with new trends coming in every year with significant impacts. The hospitality industry is one of the largest industry in the world. Some countries and cities even depend solely on the hospitality industry for their economic progress. 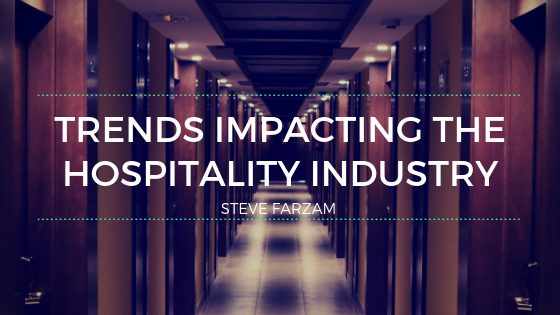 However, recent research studies highlight that there are significant trends in the hospitality industry that will have major impacts as discussed below. The demographic group of individuals between the ages of 18 and 34 is expected to form more than 50 per cent of all travelers and the people who will be the major users of the hospitality industry. The hospitality industry will be required to significantly shift with the aim of incorporating the high-tech adopters who want to get customized products and catering services. They will also play a vital role in marketing the company through social platforms. Traveling from one country to another is becoming a norm in recent times. The hospitality industry has to therefore change and become acceptable from individuals from different parts of the world. The language, food, and the setting of the whole hospitality industry have to change so that it can incorporate the needs of all people from different parts of the world. The hospitality industry should also be prepared to handle different culture and languages. This trend has already been incorporated in a significant number of high-end hotels around the world. It is expected that a large number of organizations in the hospitality industry will automate most of their services to allow easy payments and booking of rooms and other services. The payment option is also expected to incorporate bitcoin payment system and other forms of cryptocurrencies. Artificial intelligence is expected to take the world by storm in the near future. However, this form of advanced technology has already been incorporated by a significant number of leading hospitality organizations in providing various customer services. For example, customers can ask questions about the products and services provided in a particular hotel while getting instantaneous feedback. This will not only enhance customer experience but will also help organizations to attract a large number of customers who are already aware of hotel services.